Nearly 40 years ago, two Voyager spacecraft left Earth. The craft carried golden records containing sounds and images portraying the diversity of life and culture on Earth. These recorded artifacts included a diagram of DNA, greetings in 55 languages, a map of our solar system’s position relative to stellar landmarks, Louis Armstrong’s “Melancholy Blues,” and even the sound of a kiss. 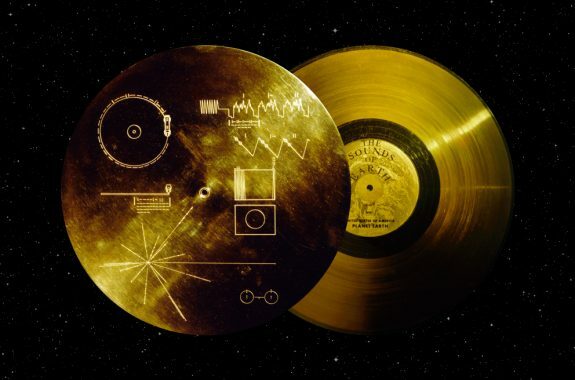 The Golden Record is an interstellar greeting and time capsule. Its intended recipient? Any intelligent extraterrestrial life form—or future human—who may find it. But that was 40 years ago. Culture and technology don’t stand still. If humanity were to send another Golden Record to the stars today, what would it contain? If you had to choose five pieces of media (images, videos, music, sound) to represent yourself, what would they be? Think about the items you chose. How do they explain what it means to be you? What message do you hope they convey to the recipient? Click on the image above to explore the Golden Record. Note: 360 videos can be explored using a VR device, like Google Cardboard. Read this explainer about contents of the original record and where the Voyager satellites are now. 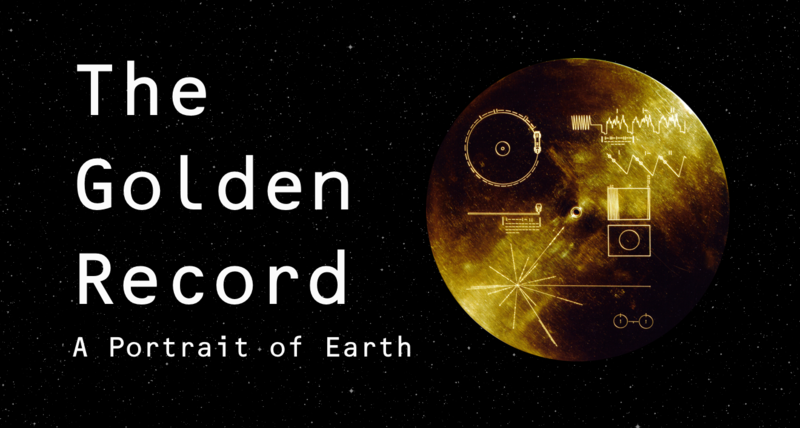 Explore the contents of the original Golden Record through NASA’s list of images, greetings, sounds, and music. Using Science Friday’s 360 Golden Record video, look through images on the Golden Record. Choose two or three and explain why you think they were selected as a way to represent the diversity of life on Earth. Look through the list of the record’s contents and evaluate. Do you think the Golden Record contains a fair representation of the diversity of life on Earth? Where do you think there is room for improvement? The Golden Record you just analyzed was created nearly 40 years ago, in 1977! Culture and technology don’t stand still. If humanity were to send another Golden Record to the stars, what would it contain? Working with your group, remaster the Golden Record by creating your own record that represents the Earth of today. Decide which elements of the original Golden Record need to be updated or replaced, and indicate that on your worksheet or poster. Recommend at least five selections for the record. These selections can be images, sounds, music, text, or other information. Culture and technology don’t stand still. If humanity were to send another Golden Record to the stars, what would it contain? Make a recommendation for one new selection to go on a new Golden Record. Explain why you selected that item, how it helps to represent humanity or the diversity of life on Earth, and why it is a better representation than another item (you can choose) featured on the current record. — Describe the selection to go on the record. — Create a claim for that item’s inclusion on the new Golden Record. — Defend against a counterclaim. Why should this new selection replace an existing item on the record? Did your students remaster the Golden Record? Let us know about it! Tweet @scifri or email us at educate@sciencefriday.com. Comprehensive list of the Golden Record contents. CCSS.ELA-LITERACY.SL.9-10.1, CCSS.ELA-LITERACY.SL.11-12.1: Initiate and participate effectively in a range of collaborative discussions (one-on-one, in groups, and teacher-led) with diverse partners on grades 9-10 topics, texts, and issues, building on others’ ideas and expressing their own clearly and persuasively.